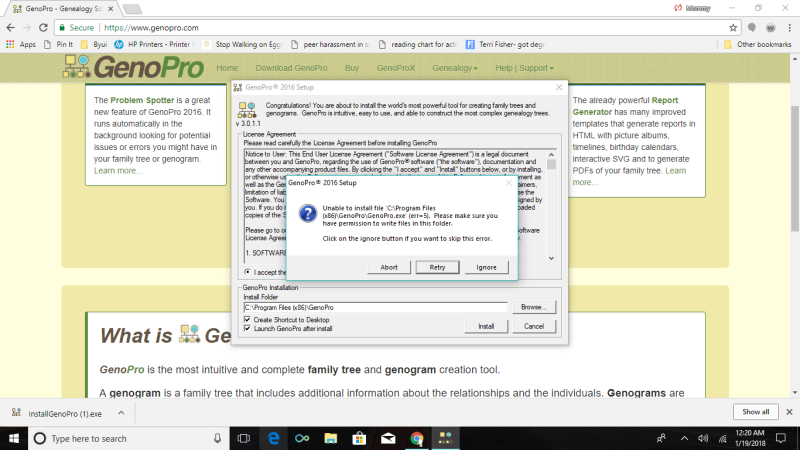 When trying to install the free trial of genopro I continue to receive the same error message. What do I do? It didn't work on the link to download but when I went to the download and right-clicked, it worked. Thank you! I bought Genoprogram on my previous notebook in 2016, but I could not use that notebook some problem. So I have new notebook and buy another genoprogram next week. But I can't install because this error.